The following is our point of view -built on many documents, testimonials and our own experience- about why the directors of The Early Music Shop decided to publish the untrue closure of the Renaissance Workshop Company and did not want to rectify. The aim of this page is to dispel all uncertainty about the history, the activity and the rights of the Renaissance Workshop Company Ltd. It is not our intention to start a debate or to damage the image of The Early Music Shop, its owners or its directors. We only want to reconstitute the image of the RWC with the real truth. We understand that the damages will be repaired in the Courts. The publication of the closure of RWC and the ensuing settle of a new workshop by EMS has damaged quite a lot the results of our company in the last years. We have had to make big extra efforts to maintain our customers well informed as we do not have the financial strength to contradict all the information published by EMS. Finally we have decided to put our point of view in the Internet so that can be accessible to all interested people. This page is open to publish any veracious information that you can have (for example, if you have any of the new products manufactured in the last years by EMS and you want to manifest the similarities or differences, or if you were persuaded that RWC was closed and then you searched for other maker, etc.). We could publish an excerpt of your message maintaining secret your identity. This page is even open to the point of view of the aforesaid people and company. When The Early Music Shop declined in 2004 to re-purchase the workshop, Mr. Askey sought and found another partner. Probably, this was not the destination which the directors of the EMS had dreamed. They wanted to have their own workshop but accordingly to the agreement signed with Mr Askey in 1999, J. Wood & Sons Ltd. (The Early Music Shop) sold all the designs and copyrights of its product range and also the possibility to produce or have produced in the future anything similar. The EMS undertook "not to produce or have produced any product of a similar design…" but if either part "ceases to trade in a given product or group of products, the other party can, by agreement with the other party, trade in that product". For us, it is obvious now that they had never renounced to have their own workshop (for example, contrary with which they did with other makers, they always marketed our products, as if they had been produced by EMS) and they saw in the hypothetical closure of the RWC the possibility to produce again, without paying back the rights, that's is for free, the same products that five years before they had sold to Mr. Askey. In the Early Music Shop they were fully aware that Mr. Askey wanted to maintain the workshops trading and that he was hard working full time on that. Despite of these facts, EMS extended the rumour, publishing in its website and sending out 25,000 newsletters stating that RWC had closed and with this excuse they started to announce their new workshop and started to produce copies of most of our copyrighted designs (see below why we say being copies). When we asked them to rectify that information they still published a "farewell to Jonathan" and some other news insisting in the closure of the RWC. We still hope that they will be sending a correction with a full apology to you in due course. Since then, the EMS has never put an order to RWC and have announced the establishment of a new workshop that produces the same vast range of products of RWC with the same characteristics and designs and after the same originals. The EMS has also entrusted other workshops with the production of musical instruments in kit form, that are the distinctive products of RWC, with the same characteristics and in many cases offered with the brand EMS. Many of those new workshops that produce the copies for EMS are located in developing countries of the far East. This fact hinders the prosecution that the English and European courts are dealing against the EMS and those workshops due to the violation of the agreements between EMS and RWC, including the ownership of the copyrights. The description of the "new" products are exactly the same and based after the same originals, including both kits and finished instruments. According to them, they developed the complete product range, set the new workshop up, wrote the instruction manuals, and drew the new plans, everything from scratch, in only few months. In the same period and working full time, we have not had time to completely settle the workshops in their new home. Either they are supermen or we are very inefficient. The EMS has announce the closure of the RWC, has prevent us from participating in the Greenwich International Festival & Exhibition of Early Music that they organize (not badly) and has try to avoid our adverts being published in some media. Our new workshop in Toledo is the rightful heir and keeps all the designs, copyrights, machinery, documentation, portfolio and more of the 40-year old one in Bradford. 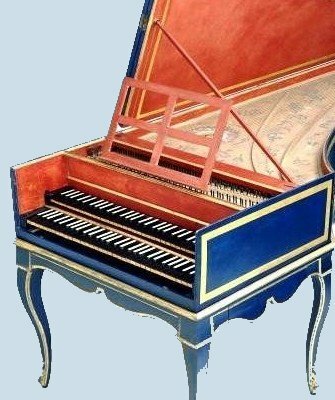 In the other side, The 'Early Music Shop' has been publishing about themselves during 2004, 2005, 2006, 2007, 2008 and 2009: "New workshops, New Products, New Designs, New Instruments, New Kits'. "A completely new workshop has had to be created around several of the existing staff. New models have been devised… Fresh manufacturing techniques will enable us to produce the kits and completed instruments… The emphasis will be set firmly on the production of a completely new range of affordable instruments and kits…" "New EMS Crumhorn Kits. We are excited to anounce the first in a new line of woodwind kits, launched at the recent Frankfurt Music Trade in early April (2009)"